Sometimes it happens you have several blocks and widgets and they are showing the same content (because of common category, tags or taxonomy). We call it “duplicate posts”. As an example of duplicate content see below image. So What Should We Do to Prevent This? 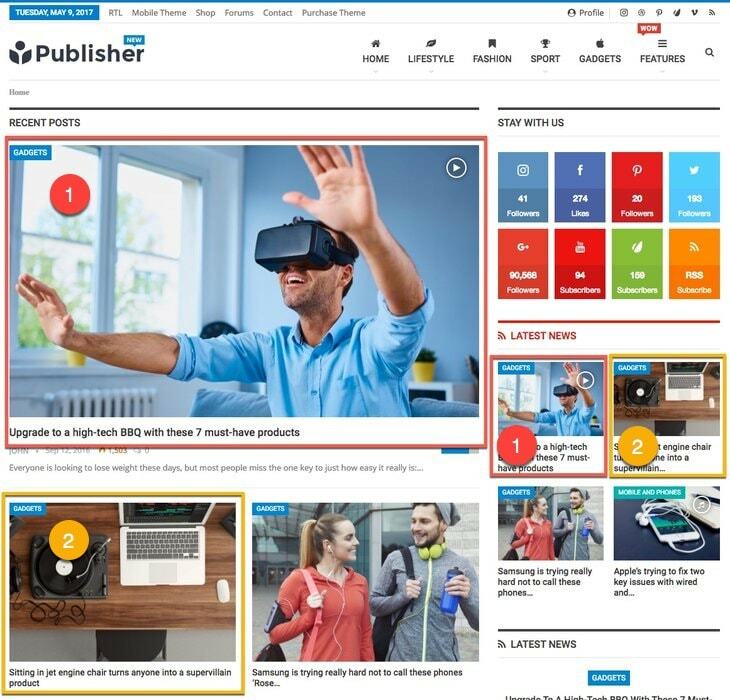 Publisher has an option for it; easily disables duplicate contents showing up in your website. 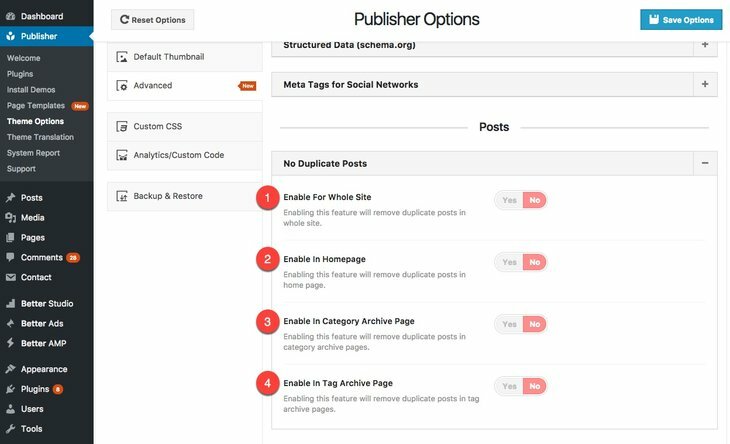 Go to Publisher → Advanced → Posts → No Duplicate Posts. 1- Enable for Whole Site: Removes duplicate posts in whole website. 2- Enable in Homepage: Enable it just for homepage. 3- Enable in Category Archive Page: Enable it just for category archive pages. 4- Enable in Tag Archive Page: Enable it just for tag archive pages. Look twice at the page we had duplicate posts on it, now it seems like below. You may select a content block to show a specific category which has limited number of posts. If “No Duplicate Posts” is activated on your website, be careful, because if these posts have showed before this block, then this one would be empty. It is possible to override general options for duplicate posts in single blocks. 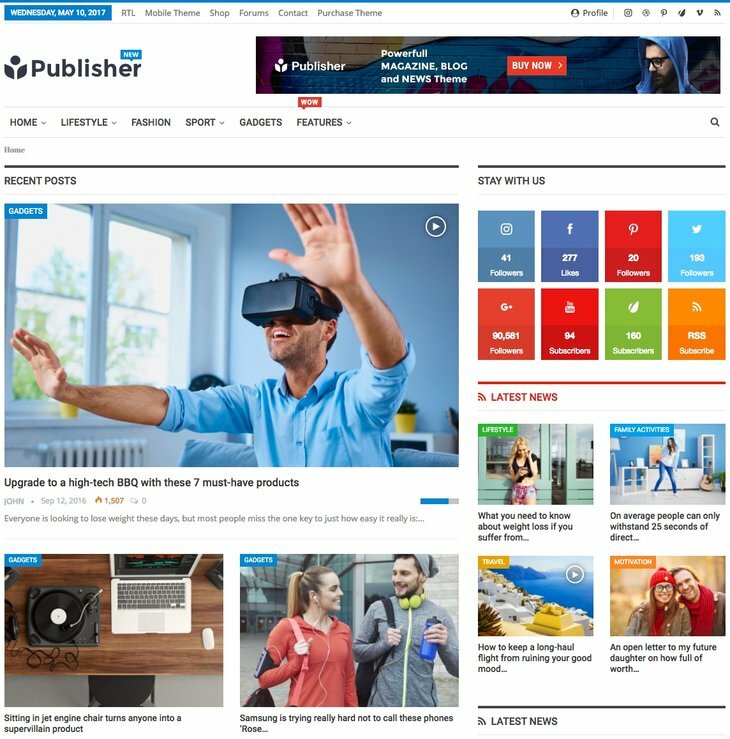 Read more in Content Block Post Filter.